By Antony. When in doubt, begin where you began. 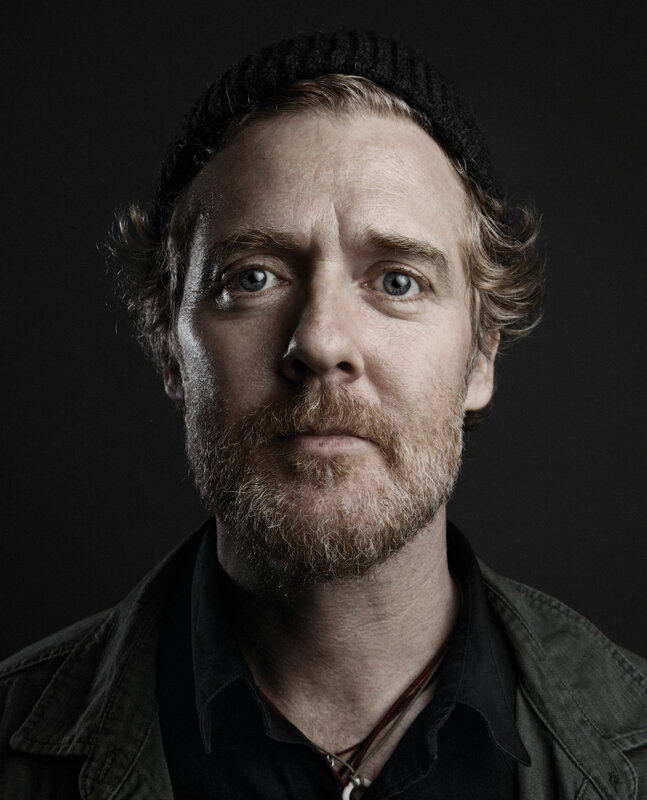 I set out to familiarize myself with Glen Hansard’s work with The Frames and The Swell Season because I fell in love with his 2012 solo album Rhythm And Repose. Of course that was about two years ago, and I did nothing. The catalyst for finally doing it was that I saw Glen Hansard at the Hollywood Bowl a few weeks ago. He and his large band—about a dozen people—were fantastic. He overflowed with joy and gratitude, and his storytelling was absolutely charming. In fact, my only complaint was that some backstage miscommunication truncated Hansard’s set—though with a flash of Irish rebellion, he played nearly 30 minutes past curfew. So in the afterglow of the show, I found the motivation to give some time to one of the finest folk musicians working today. What follows is what I’ve learned. Fair warning: I’m sure my list is heretical to any longtime Hansard follower and that doesn’t bother me one bit. Taking a queue from one of my favorite features on Stereogum, I’m going to list the albums from worst to best (waste a little time later with their lists for U2, Bruce Springsteen, and Ryan Adams). A technical note: The Frames’ first album, Another Love Song, was not available to me, and I excluded their live records Breadcrumb Trail and Set List from this list. 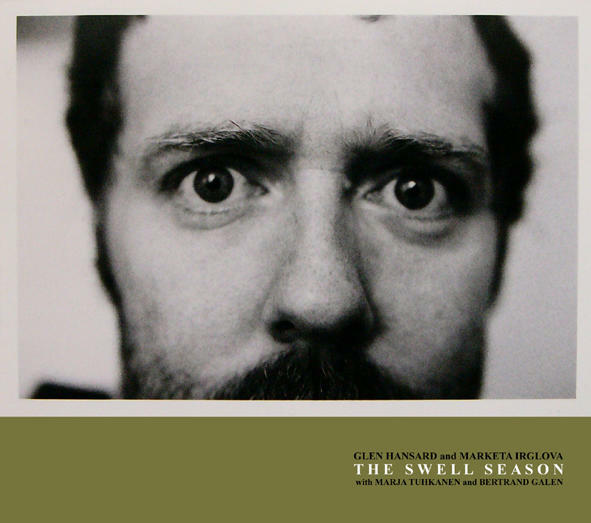 The Swell Season is Glen Hansard’s first collaboration with Markéta Irglová, a Czech singer. The two would go on to star in the film Once together (see below), and several of the songs on this album are re-recorded for the soundtrack, while two appear on The Frames’ album The Cost. And really, this is the problem with the album. Everything here works; it’s a very easy listen, often beautiful, but most of its strongest moments are trumped by versions of those songs on other releases. The exception is “Leave”—the version here is clearly superior to the Once version. “Drown Out” is also a highlight. The Frames’ second album sounds a lot like late 90s alternative rock with an Irish twist. I hear hints of Pearl Jam and The Foo Fighters in the music, but the heart remains passionate, Irish folk music. Perhaps because of this 90s sound, I suspect this album would’ve been my favorite if I’d heard it when it originally came out, but having only listened to it in the last few weeks, I find it uneven—there’s so much about the 90s I don’t care about anymore. 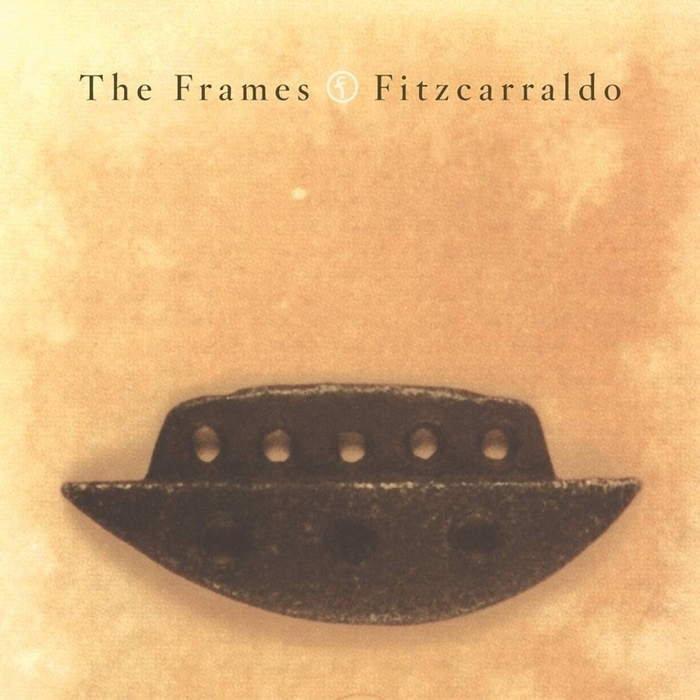 No matter the production, a good song shines and Fitzcarraldo has several. But the two best really become what they are as they evolved live. The title track has gotten even more epic, and “Say It To Me Now” opens many of Hansard’s shows. He plays it acoustically, without amps (there’s a similar version on Once). It’s rousing and timeless. You should pick up the Deluxe Edition of Strict Joy because it includes a live performance in Milwaukee in 2008 that captures pretty much everything I loved about Glen Hansard live. His cover of The Pixies’ “Gigantic” here is awesome. His explanation of “Drown Out” gives me chills. 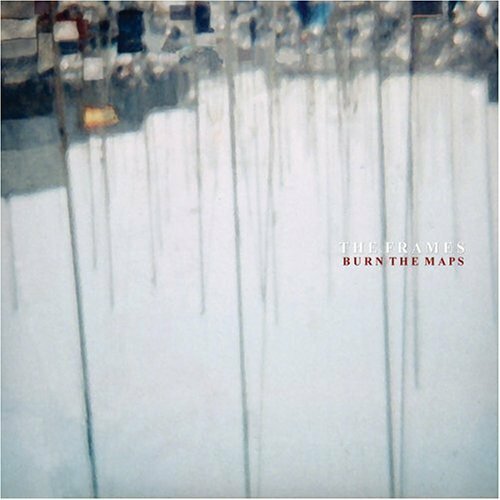 The Frames’ third album is another uneven outing, but I like most of it more each time I listen. I think there’s two ways to hear it: It’s either an improved Fitzcarraldo or a desert wandering before finding their voice on For The Birds. “Pavement Tune” is probably the best Fitzcarraldo song not on Fitzcarraldo. But songs like “Star Star” and “God Bless Mom” suggest a band beginning to stretch themselves. They still sound like 90s alternative rock, but the sound is a little less cluttered and the songwriting a little stronger, a little more epic. You can start to see where the U2 comparisons come from (you know besides the Irish thing), but they’ve always sounded a little earthier than their compatriots. As with all movies that revolve around musicians, this is more than just a soundtrack because so much of the plot conflict is worked out through the music. So the more you like this movie, the higher this soundtrack climbs in your estimation. I watched it when it came out, long before my Glen Hansard conversion. I liked it a lot back then and would probably like it even more now. But, disentangling the movie from the music, I think this soundtrack works as an album. It retains the rough charm of the busker on a street corner (something Hansard did since he was 13) while the songs show the insight of seasoned songwriter. 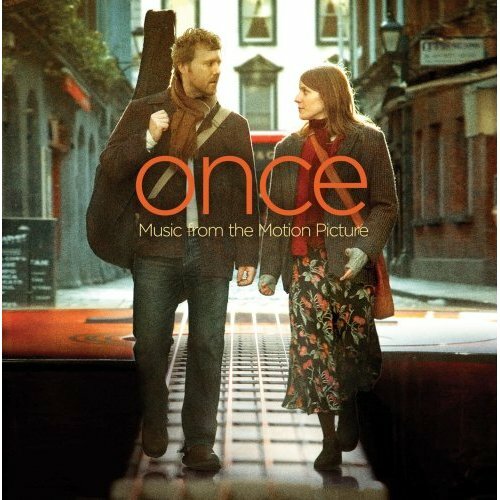 Can we talk about “Falling Slowly”? In the Milwaukee performance from the Strict Joy Deluxe Edition, Hansard attempts to describe the way that this song has transcended everything he could have imagined for it. I’m certain that’s true. It’s the type of song you probably have to wonder if you really wrote—perhaps the universe delivered it to you in a dream or something—it’s that perfect. This is probably really a tie with Once. That’s fitting since this represents the opposite end of Hansard’s music. Whereas Once is the most readily accessible album, Burn The Maps is the murkiest and moodiest one. This is the only Frames I’d heard in the distant past. I had a copy of this album when it came out in 2005, and I have a distinct memory of driving the empty San Francisco Bay Area freeways at 5 AM. The drive was ghostly. I associate Bay Area roads with crowds—crowded in the way that makes you instinctually pull your shoulders in because all the cars are that close to you. The otherworldly quality Burn The Maps had for me that morning turns out to be more than my strange experience; it inhabits the music. You can hear it in “Happy,” “Dream Awake,” and “Fake.” To me though, the highlight of this predawn album is the closer, “Locusts.” A moment of sad, well-earned clarity, driven by a gorgeous piano line. 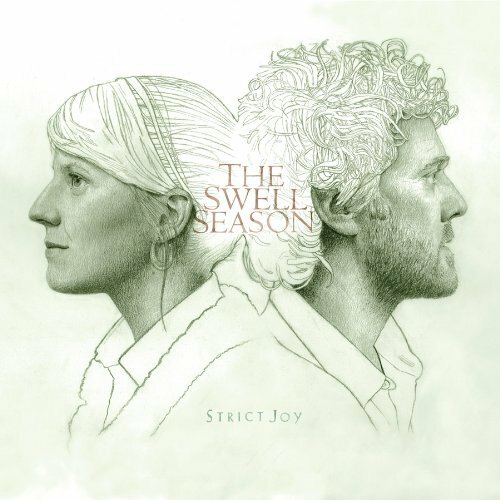 If not for The Swell Season and Once competing for my affection, this album might have taken first place. The renditions of “Falling Slowly” and “When Your Mind’s Made Up” here are expansive; the addition of a little noise changes the songs in really interesting ways. But are they my favorite versions? I don’t know—depends on my mood, I think. The Cost is nearly a pop record compared to Burn The Maps. The songs are sharp, and the band breathes together. 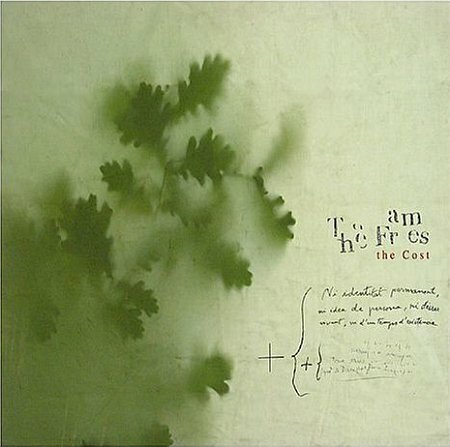 While I rank The Cost only at #3, this is the Frames album I’d recommend to people who wanted to start somewhere. 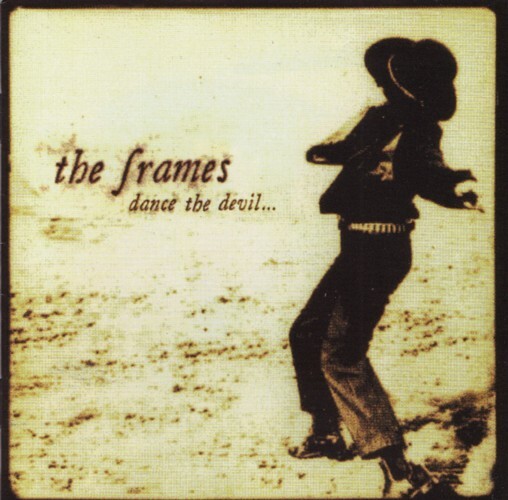 This is my favorite Frames album. I know this because I started building a playlist for a Glen Hansard 101 Mix (see below), and by the end of my second listen, there were seven songs from For The Birds. The sound successfully combines the strengths of Fitzcarraldo and Dance The Devil, creating a noisy folk-rock record with a lot of heart and charm. This is what I’ll be playing in that slow part of the afternoon when I need a little help making it to the evening. 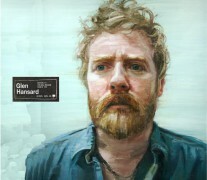 “Lay Me Down” may be Glen Hansard’s first perfect song. Unsurprisingly, nothing knocked my first love out of the top spot. There are two possible reasons for this: (1) Objectively speaking, it’s actually the best thing Glen Hansard has ever done or (2) love is a strange thing. What can I say? Listen to it with an open heart, hoping for love—and perhaps I won’t have to explain. The album title is a good way to begin. He said it’s something of a life philosophy—the two elements of a life, the rhythm of work and purpose and the repose that gives you the time to make sense of it all. Musically, rhythm is more central here than in Hansard’s previous work. A lot happens between the rhythm section and Hansard’s voice. Maybe this is what you’d call “urban folk”? Something about several of the songs (“Maybe Not Tonight,” “Love Don’t Leave Me Waiting”) reminds me of solo John Lennon. I don’t know why, but perhaps there’s a clue in that? Now, an artist with such a long history has a rather long list of songs for soundtracks, compilations for charity, and B-sides. I can say that I’ve like most of the loose tracks I’ve come across. Several of these are represented on the Glen Hansard 101 mix below because as a folk musician one of the most important elements of his craft is reinterpreting the songs of our past. The Swell Season version of Dylan’s “You Ain’t Goin’ Nowhere” is joyful (and it was the exit music from my wedding ceremony). His take on Justin Timberlake’s “Cry Me A River” reminds you of the craft in Timberlake’s best work. For Glen Hansard 101 I had to pick an audience. You can’t make a mix without a listener in mind. Sometimes they are personal—only for you. Other times, you want to communicate something, build bridges, and that sort of thing. When I want to do that, I often think about my wife. Her taste is a lot like mine with some of the rougher edges sanded off. So the guiding principle for this was: While representing each album, who is the Glen Hansard she’d appreciate the most? This is my attempt at that (she’ll tell me if I got it wrong). Hope you enjoy it too. It’s really interesting to see the similarities and differences between how you as a recent convert and me as a long-time Frames fan perceive Hansard’s music. You may be surprised to hear that the similarities far outweigh the differences. We both seem swayed by the point in the catalog at which we fell in love with this music: your first love was Rhythm And Repose, and because of it, it’s still the album to which you’re most fiercely attached. 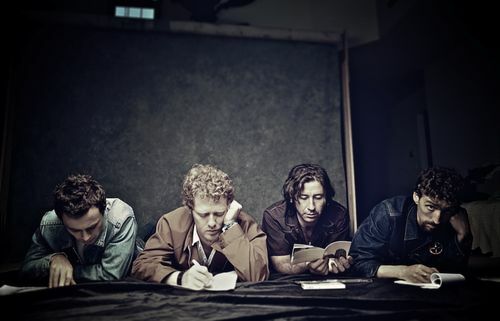 For me, I first heard of Glen Hansard with Burn The Maps — a completely random pickup I made at Austin’s Waterloo Records based solely on a quote from Damien Rice saying that The Frames were the best live band he’d ever heard. He’s not wrong about that. I saw them live a few months later (with Josh Ritter opening — which was my introduction to him as well). Just as you’ve now learned, seeing them in person, hearing the way they ride the energy of the crowd, and listening to Hansard’s gifts as a storyteller — it’s what will take you from casual appreciator to lifetime devotee. There’s something so earnest and likeable about the man. He seems genuinely surprised by the love he receives at every show, and seems to appreciate it no less now than before his Oscar or any of the success that’s followed. I agree with virtually all of your descriptions of the respective albums. Strict Joy can be a dull listen, and it feels like they didn’t know what they wanted to say after the success of Once. Burn The Maps is the most challenging album on the list, and maybe the most ambitious, but it seems to come from a place of darkness that requires a certain mood to appreciate fully. (Of course, it has a couple of bright energetic moments like “Fake” or “Finally” that seem to stand out that much more because of it). 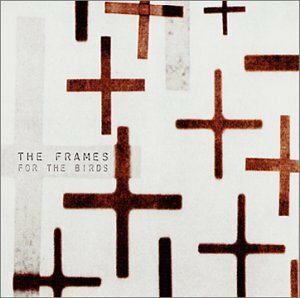 For The Birds is the most accessible (and maybe the most representative album) of The Frames sound. I’m surprised, but pleasantly so, to hear your love for The Cost. It was the last Frames album, and it can be one of those albums that has to grow on you slowly. Because of that, I had always assumed that I was one of the few to love it. On the flip side of that, I definitely need to go back and give Rhythm And Repose a few more listens. I initially found it dull, but found beauty in some of the same songs you mention. I think what makes Hansard such a remarkable artist is that he has a knack for pop songwriting — his hooks and his vocal melodies can be instantly infectious, especially at the peak of The Frames’ run — but can also eschew all that and write these slow builders that demand your patience and your repeated attention. There’s great subtlety in that second set of songs, which I think have become more common in his later years. Those songs reward you for coming back to them. Knowing that (and respecting any album that’s earned such devotion from you), I know I need to go back to Rhythm And Repose and give it the time it deserves.